When you think of cholesterol, you might picture a big, juicy cheeseburger — one that you’re not supposed to eat if you want to keep your levels in a healthy range. Most people have these negative associations of cholesterol and its related struggles, but how cholesterol impacts your body is a bit more complicated. Cholesterol, a waxy substance found in most body tissues, isn’t strictly bad. Your body uses it to build cell membranes and essential molecules, including hormones and fat-soluble vitamins like vitamin D.
Your body contains both low-density lipoproteins (LDL) and high-density lipoproteins (HDL) — or “bad” and “good” cholesterol, respectively. A healthy LDL level is below 100 milligrams per deciliter (mg/dL) and a healthy HDL level is above 40 mg/dL for men and 50 mg/dL for women. High levels of bad cholesterol — known as hypercholesterolemia or hyperlipidemia — can cause fatty deposits to build up in your arteries. This, in turn, slows down your blood flow and increases your risk of heart attack and strokes. Over 100 million Americans have dangerously high cholesterol levels — but some may not even know it. A blood test is the only way to measure your levels and determine if you are in a healthy range. This is why you need a personalized team like the physicians at Elitra Health Center to remind you to get checked regularly, monitor your health, and work with you every step of your journey to a healthier life. In honor of National Cholesterol Education Month, we’ve broken everything you need to know about cholesterol down before your next appointment. 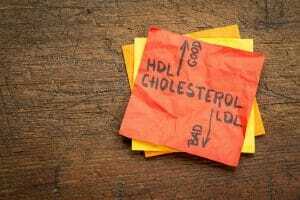 High cholesterol is influenced or worsened by lifestyle factors but, more so, it is the result of genetics. Your liver produces about two-thirds of the cholesterol in your body. After that, the cholesterol you obtain from food is called dietary cholesterol. So, yes, a cheeseburger is not the best meal for someone with high cholesterol. However, a cheeseburger actually doesn’t contain a high amount of cholesterol. The problem is that this food is high in saturated and trans fats, which cause your liver to produce more cholesterol than normal. Animal products and certain tropical oils — including palm oil, palm kernel oil, and coconut oil — can also cause a rise in your cholesterol level. This is why you should talk to your doctor before switching to cooking with coconut oil even though it can seem like the healthier option. 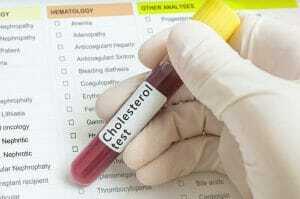 High cholesterol can also be caused by other medical conditions and as a side effect of some medicines. Because of this, it’s extremely important to have a close team of doctors, like the Elitra team, following how your prescriptions interact with each other and impact your levels. People who have very high blood cholesterol may have visible signs, such as xanthomas (yellow nodules filled with fat on the skin or in internal organs) and corneal arcus (a grayish ring around the cornea). Otherwise, there are no symptoms of high bad cholesterol. There are, however, known risk factors. These risk factors include smoking, being overweight, and having diabetes or a family history of high cholesterol. The American Heart Association recommends checking your levels every four to six years if you are a healthy adult, but if any of those factors apply, you should get your levels checked more frequently. The buildup of plaque from high cholesterol can cause heart diseases for which the symptoms include chest pain, shortness of breath, and loss of feeling in your extremities. Heart disease is the number one cause of death in America. Point being, high cholesterol should not be taken lightly. 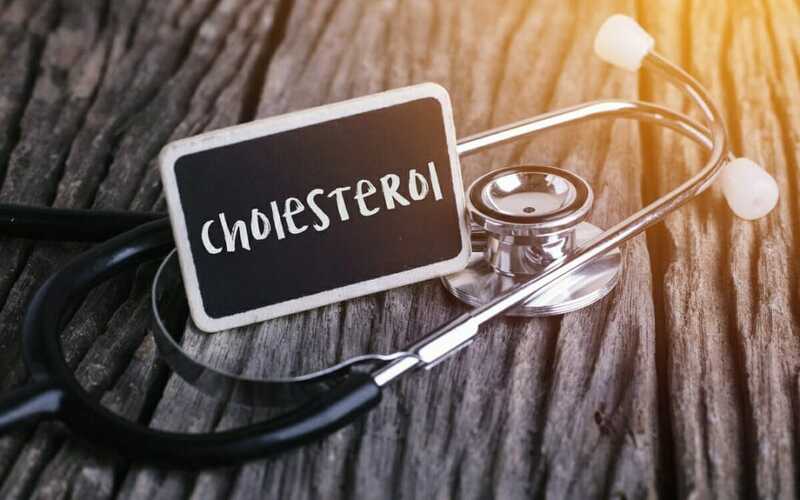 The “good” cholesterol (high-density lipoproteins), however, will actually pick up excess cholesterol in your blood and return it to your liver to be broken down. High levels of good cholesterol are often associated with a lower risk of heart attacks and stroke. To determine the levels of good and bad cholesterol in your blood, our team at Elitra Health Center will lead you through a routine test, known as a lipid panel. You’ll leave our center with your results that day, so you can start making decisions about treatment right away. Our advanced genetic testing can also paint a better picture of how cholesterol has impacted your family in the past to know what to expect in your health journey. At Elitra Health Center, we can address both the genetic and lifestyle factors of high cholesterol. Our physicians will review all of your screening and test results to determine follow-ups and appointments with specialists. They can also, if necessary, prescribe you medicine to lower or raise your cholesterol levels accordingly. A registered nutritionist at Elitra Health Center will take you through a food diary review to discuss your current lifestyle choices and call out areas of concern. They’ll work with you to develop a personalized nutrition plan — one that doesn’t see you existing off celery. As we pride ourselves in prioritizing one-on-one specialized care, this dedicated nutritionist is someone who can spend as much time necessary to educate you about how your food choices impact your levels and exactly what to eat — for every meal and snack of the day — to improve them. Despite what commercials imply, your cholesterol levels will not be dramatically improved by simply changing your breakfast cereal. It can be hard to understand combatting research on what foods will cause a spike, but our nutritionists are here to help you make sense of all. They can also recommend over-the-counter dietary supplements, such as plant sterols. Because exercise can lower your triglycerides while increasing your HDL levels (and helping you lose weight too, of course), those who are at risk would also benefit from guidance from our exercise physiologists. This team can lead you through stress tests and full body core strength and agility tests to plan a fitness regime that takes into account your health, needs, and schedule. Undoing the impact and build-up of bad cholesterol can take years, but working with a team of experts at Elitra Health Center will make that journey faster, safer, and easier for you and your family.